October is Breast Cancer Awareness Month, if you didn’t already know based on all of the pink flooding the retail market. I’ve always thought that money donated directly to the American Cancer Society, Stand Up To Cancer, or the Susan G. Komen Foundation is a better use of resources than buying a pink can opener. Unless you really want a pink can opener, then the small donation with the sale is an added bonus. That said, I’ve designed several pieces that are meant to inspire, memorialize, and honor survivors, those who are fighting the disease, or anyone who wants to support friends and family who are struggling, and to remember our mothers, sisters, grandmothers, aunts, daughters, and friends who lost the battle. Each design is fully customizable if you’d like to add names, birthstones, or elements that represent the wearer’s spirit. 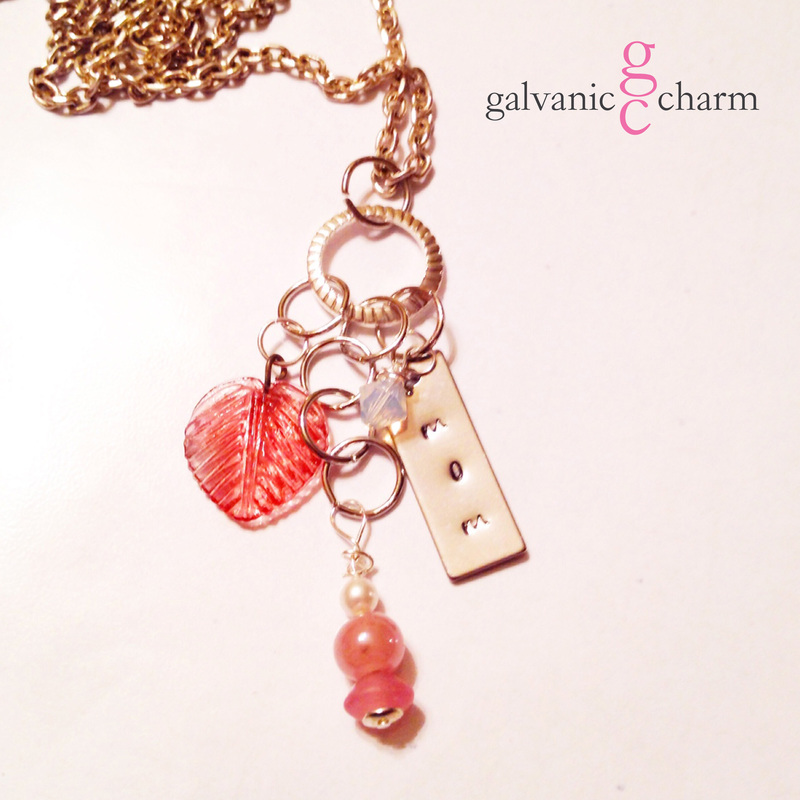 Galvanic Charm will donate $5.00 for each sale to the Susan G. Komen Foundation for breast cancer research and outreach. 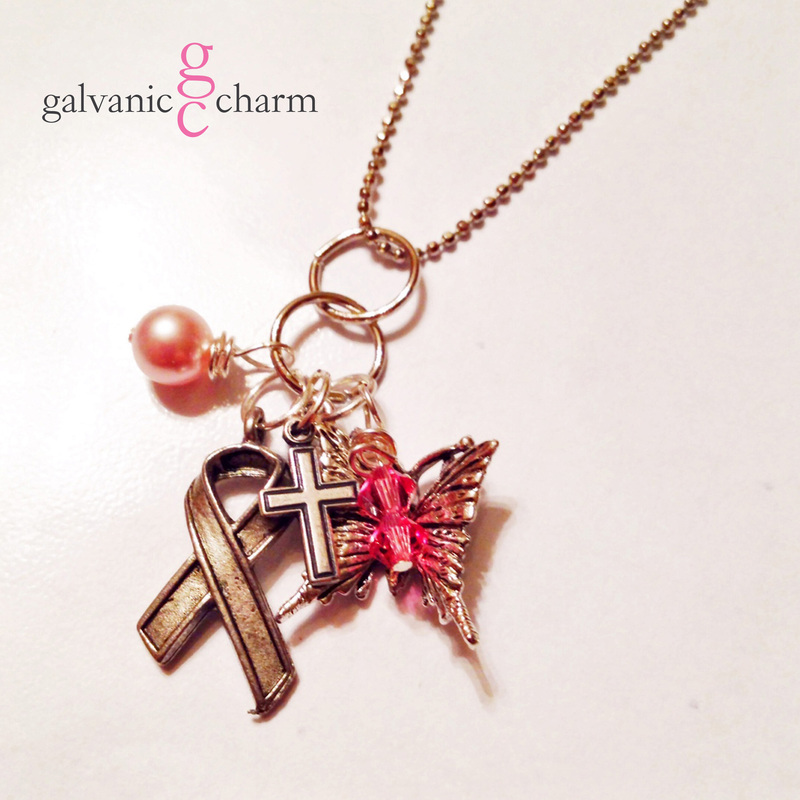 EMERGE – Delicate stainless steel loops with rose pearl and pink Swarovski crystal droplets and dangling pewter folded ribbon, tiny cross, and butterfly charms. 18″ rhodium plated fine ball chain with lobster clasp. $40 as shown. Available directly or on Etsy. 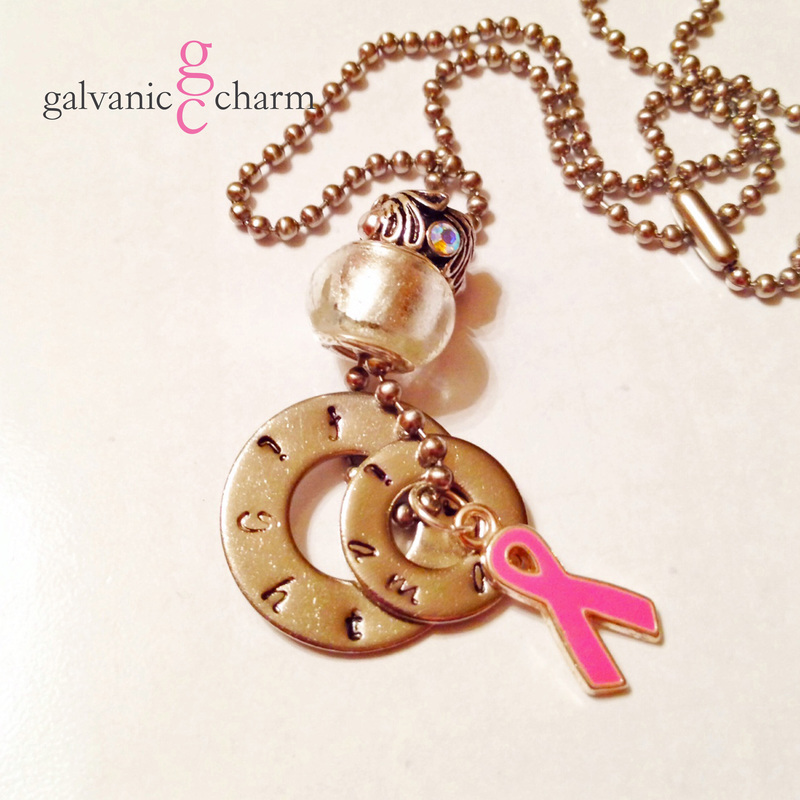 PINK RIBBON – 2 hand-stamped stainless steel washers (i am a – fighter). Pewter and pink glazed folded ribbon charm, silver glass bead and pewter bead accented with opals. Stainless steel ball chain. $40 as shown. Available directly or on Etsy. MEMORIAM – Personalized necklace, hand-stamped with 1″ stainless steel tag, pink acrylic leaf, and wire-wrapped Swarovski crystal birthstone, and Czech glass and pearl droplets. Stainless steel ball chain. $40 as shown. Available directly or on Etsy.